The tatami of the Tbilisi Grand Prix, Georgia, has barely cooled down and been dismantled and the world circuit has moved to Turkey. The Antalya Grand Prix will be the fourth Grand Prix of the season and already the seventh event on the world calendar since January. 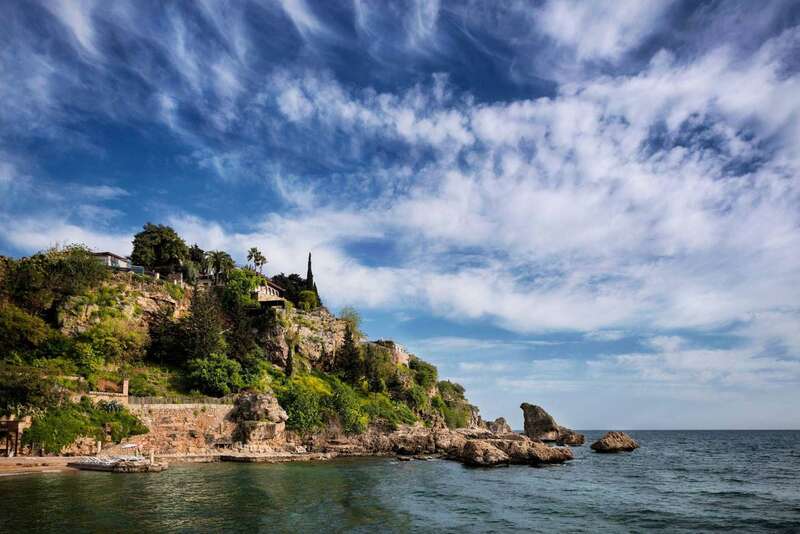 It will take place from 6 to 8 April on the shores of the Mediterranean, in what can be considered one of the most popular seaside resorts in the world. If Antalya is now the tourist capital of the Mediterranean coast of Turkey, the "Turkish Riviera" will also be the capital of world judo for a weekend, with 52 delegations for 344 athletes already announced. Not far from the old town of Antalya, Kaleici, which lies on the side of a steep cliff below which is nestled an old picturesque harbour, many champions are expected for what will be the last event whose points will not count for the Tokyo 2020 qualification, even if these same points will be decisive for a good world ranking at the start of an exciting period for international judo. After Antalya, the world calendar will pause for a few weeks to allow continental unions to organise their respective championships. As the world circuit will then resume, the deal will be totally different, since the Hohhot Grand Prix, China (25-27 May), will mark the grand launch of the long-awaited qualifying period for the Tokyo Games. But we shall not go too fast, as above all, the goal is now the Antalya Grand Prix. The largest delegation will obviously be the host delegation that will be present in all categories with 37 athletes. Launched on the first day of the Grand Prix by Bekir Ozlu in -60kg, finalist of the Agadir Grand Prix a few weeks ago, the Turkish team will have much to do to shine in front of its public. A large Russian delegation (27 athletes) is also expected including many young people, who might be among the potential big names in the future. Among the teams that will bring more than 10 competitors to Turkey there is Austria and its eternal Sabrina Filzmoser, Azerbaijan which is in full swing to prepare its world championships in Baku (September 2018), Brazil and Chinese Taipei, touring in Europe, Georgia, with a smaller team than at home but still dangerous, Israel who will organise the European Championship in April, Kazakhstan with 20 athletes and Kyrgyzstan. But among the 344 athletes registered, potential medallists are numerous and there is no doubt that the number of countries on the podium will once again be high. In a few days, we will be fixed on the athletes who are in good shape and who will start their trip to Tokyo in the best possible conditions. At your marks, ready ... only a few weeks to wait for the 'go'. Finally, we will also note that April 6th will mark the International Day of Sport for Development and Peace and that during the Antalya Grand Prix, the International Judo Federation will join this great world-wide event (#WhiteCard #IDSDP2018 #peaceandsport) and celebrate peace with all participants. For several years now, the IJF has been present in Turkey, in partnership with the Turkish Judo Federation, in the Kilis refugee camp (https://youtu.be/utJCdr5UKIA) and works for peace and reconciliation, thanks to Judo for Peace or Judo for Children programmes (find more information on http://www.april6.org).